By Helen Wang, published February 19, 2017, 12:10a.m. As with many of the better things in life, research projects included, Writing Chinese began unexpectedly, the result of a series of fortunate events. At the end of 2013 the Arts and Humanities Research Council advertised a funding opportunity with a rather tight deadline. The White Rose East Asia Centre, a collaboration between the Universities of Leeds and Sheffield, wanted to respond to this so invited members to come up with new projects to form part of the WREAC bid. It so happened that I was coming to the end of a second bout of maternity leave and faced with the sudden realisation that regular travel to China for fieldwork and library research was going to be more of a challenge with two children under two. At the same time, intellectually I was looking to shift the focus of my research on authorial prefaces and traditional fiction from premodern to contemporary China. By happy coincidence, my co-conspirator Sarah Dodd had recently completed her PhD and secured a post here with us in Leeds. Both Sarah and I were trained in classical Chinese fiction, but we both had a keen interest in, and a wish to learn more about, contemporary writing and its English translation. And so we applied. The aim was to create a research network, and invite authors and translators from China to come to Leeds. While the vast majority of China-related events in the UK happen in London, we wanted to establish Leeds as the centre for new Chinese writing in “the North”. The bid was successful and Sarah then spent the summer with a literary agency in Hong Kong making contacts with authors, translators and publishers. We held our official launch after her return and started our virtual book club, with a featured author of the month and bilingual postings of short stories, alongside short bios (often linking to the excellent Paper Republic resource), and links to other publications by the author for those wanting to find out more. We have now built up a considerable archive of these monthly pieces. Initially we invited our authors and translators to record audio versions of the stories, as this is particularly helpful for language students learning either Chinese or English as a second language, and we felt this was a potentially rich new readership. Due to a mix of technological and time restraints, we have stopped providing this in our more recent posts but already have built up a useful audio resource. We have usually tried to choose the author of the month to coincide with a new publication and that has had the added advantage that we have in several cases been able to host our featured author in a reading here at Leeds while they are doing the obligatory promotion tour. Many of our authors have told us how much they have enjoyed their ‘Leeds stops’ and being part of this dedicated project and enthusiastic network, as all too often the rest of their scheduled tours involve talking in bookshops to a tiny audience who rarely have much China knowledge. Through discussions in our network with those involved in marketing translated Chinese literary works, the importance of the author as an extrovert personality who ‘performs’ well at tours, book fairs and other events is paramount to ensuring increased sales. The ability of an author to talk in clear English without an interpreter is particularly highly valued, even though this is rarely feasible. In partnership with Blackwells, we have held bookstalls at our events and they have reported strong sales. Chen Xiwo’s The Book of Sins, translated by Nicky Harman, was completely sold out by the end of our launch event where Chen, Nicky and publisher Harvey Thomlinson were our guest speakers. Various audience members told me that the highly controversial and often shockingly explicit nature of the plots formed such a bizarre contrast with the personality, voice, gentle humour and facial expressions of the author (who everyone just kept describing as ‘really sweet’!) that they simply had to buy the book! 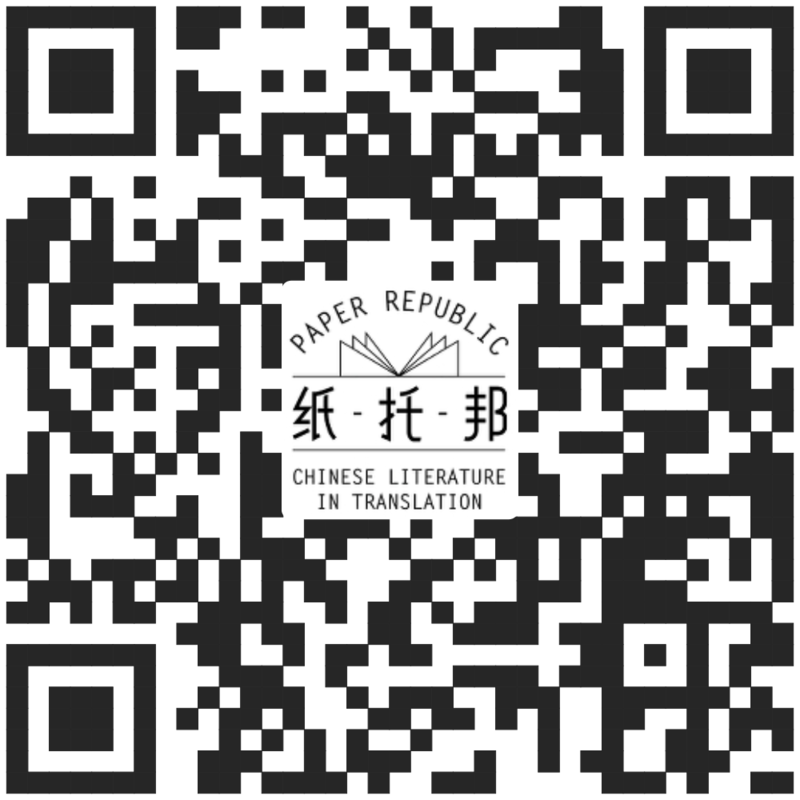 The role of translators was always a core part of setting up this project, but since then we have been constantly amazed at the amount of effort translators of Chinese fiction must go to, and the multiplicity of roles they take on – sourcing, interpreting, promoting etc. etc. – often without recognition, let alone remuneration. Our own project owes a huge debt of gratitude to Nicky Harman, Helen Wang, Dave Haysom, Eric Abrahamsen and others from the Paper Republic collective who have provided constant support, encouragement and contacts, not to mention running workshops, judging competitions, and facilitating other events. We hadn’t really anticipated, though, the levels of interest among our network and the general public in the processes of literary translation. Audience questions in our events have been almost as often directed at the translator as at the author. We have held two very successful translation workshops and launched our first translation competition in November 2014. It attracted 88 entrants from all over the world, from a mix of established/professional translators, and novices, and the quality of entries was described by our judges as outstanding. On the back of this we launched two more competitions, one on reportage and one on poetry. The respected fiction magazine, Structo, which had never previously featured writing from China, published both winning entries to our first translation competition in Issue 14. Another renowned literary magazine, Stand, has asked us to guest edit a special edition on new Chinese writing in translation (out in spring 2017). Entitled "Chinese Journeys", this will include the winning entries to our second and third translation competitions, along with a selection of poetry, prose and commentary from various members of our network along with some other poets with China connections, interests or heritage. In future we will be collaborating more with schools and the increasing number of secondary pupils who are learning Chinese. Our children’s literature symposium in July 2016 brought together practitioners, academics and teachers. We were delighted that it also provided the inspiration for the exciting new collaboration between our keynote speakers, Helen Wang, Minjie Chen and Anna Gustafsson Chen, and thus the formation of the excellent web resource on children’s literature Chinese Books for Young Readers. Our symposium also confirmed the rich potential for greater collaboration with school teachers and the new opportunities provided by changes to the UK curriculum and funding models for Chinese at school level. As we write we have just received confirmation that a funding bid we submitted to the AHRC for a further tranche of funding to support work with this sector, and for engaging new audiences more broadly for Chinese literature in translation, has been successful. Hurray! Watch this space…or even better, our website.